We definitely need a new mattress. A strange way to start a blog, I know, but I was so uncomfortable last night I just couldn't get to sleep. Either that or I need a new body, as I ache all over. I kept Cinabar awake riling around, so I'm in her bad books also. Now I have a day full of boring meetings to try to stay awake in, which could be a challenge to say the least. This Alō Light Refresh may help revitalise me. It has Aloe Vera, Cucumber and Cantaloupe in it. I thought Cantaloupes were a type of animal with horns that run away from lions (pun intended)! As far as I can tell this drink doesn't have any meat in it. It is gluten and fat free, low in sugar and smells mainly of sweet melon on opening. It has Aloe Vero leaf pulp in it, which makes it a bit of a chewy drink, which I'm not too keen on as it makes me worry I'll choke on it in my tired state. It tastes mainly of Aloe Vera with a combination of slightly stronger cucumber and then sweet melon into the aftertaste. It's a refreshing drink that reminds me of summer in these chilly months. I made the mistake of drinking it after my first meeting, which tediously ran over to the extent that I started to dose in the later half. However I have high hopes to stay awake in the following afternoon's meetings. 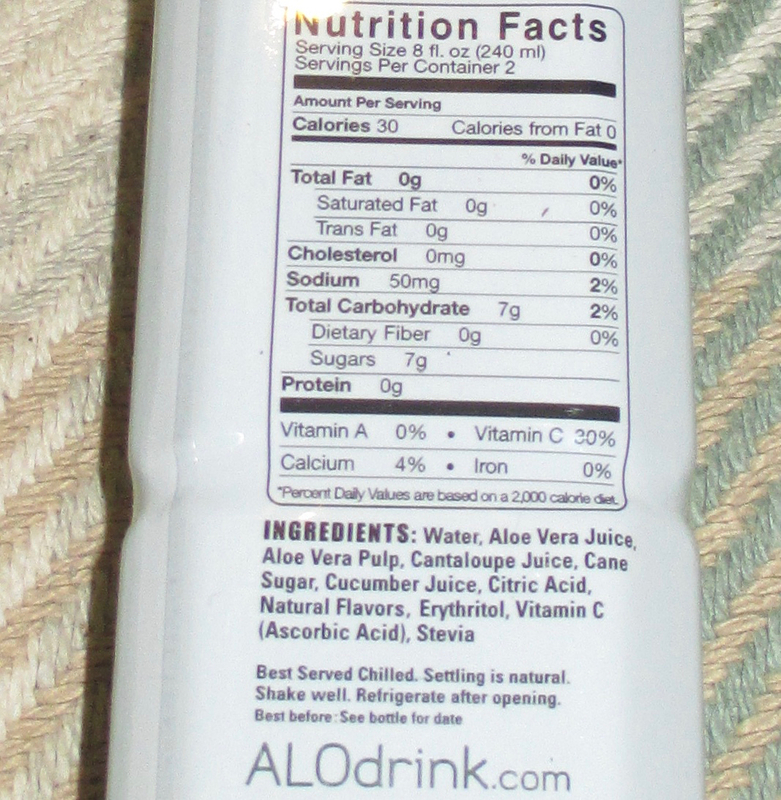 The 500ml bottle contains 7g of sugar and 50mg of sodium. 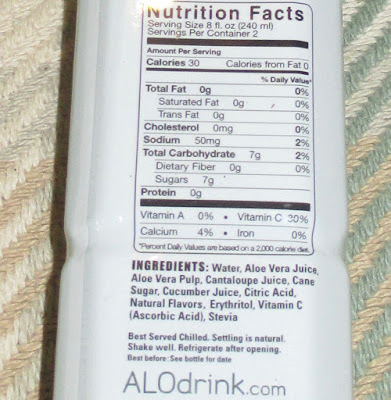 Ingredients included; water, Aloe Vera juice and leaf pulp, Antelope… er sorry, Cantaloupe juice, cane sugar, citric acid, cucumber juice, natural flavours, erythritol, vitamin c; ascorbic acid, and stevia.